Today marks the 156th anniversary since the publication of Charles Darwin's On The Origin of Species. Every year scientists celebrate Evolution Day to commemorate Darwin's contributions to science and to focus on and educate the public about evolutionary biology. 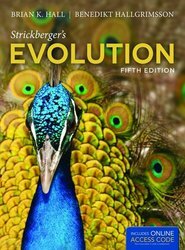 Today, Evolution is a core undergraduate course for any young biologist working through their academic career. We like to celebrate our prolific science forefathers by highlighting our quality textbooks written by leading scientists and educators.